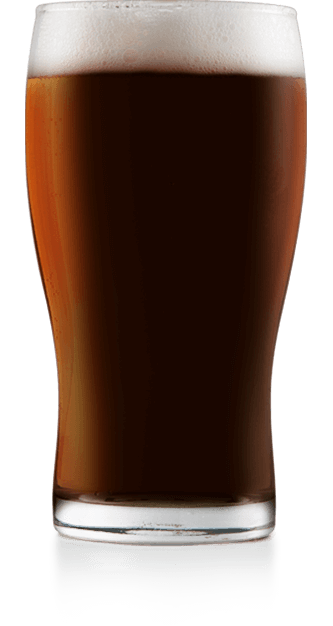 Dark, full-bodied, spiced ale made with pumpkin and chocolate malts for a rich autumn flavor. Add 3 gallons of water to the brewing pot. Pour the crushed grains (and optional pumpkin puree) into the grain bag and tie the bag loosely. Place the bag into the 150º-155ºF water and using a spoon incorporate the water into the grain bag so that all the grains are fully saturated. Put the lid on the pot and allow the grains to steep 30 minutes without direct heat. After 30 minutes remove and discard the grain bag. When fermentation and clearing is complete, you can proceed with bottling. In a sanitized bottling bucket, add ¾ cup of corn sugar that has been boiled with 2 cups of water for 15 minutes and cooled. Gently rack the finished beer into the bottling bucket with the priming sugar solution. Gently stir without introducing oxygen (no splashing or sloshing) to incorporate sugar. Use a bottle filler to fill the bottles to the top of the bottle, when you remove the bottle filler it will be at the perfect level. Cap the bottles and allow them to condition at about 70ºF for 2 weeks. Replace the Liquid Malt Extract (LME) with 9.5 lbs. of 2 Row Pale Malt. Add the specialty grains and mash at 152° F.